Simple food. There is nothing simpler than going out to the back garden and picking your own veggies from the garden, fresh from the soil and the sun. I’m not a gardener. Both David and I couldn’t care less about flowers and shrubs and we do the gardening around the yard because we are perfectionists, and not because we like it. I usually put my headphones on VERY LOUDLY and drown out the experience of being dirty, hot and sweaty and constantly feeling like some bug or spider is crawling on me. 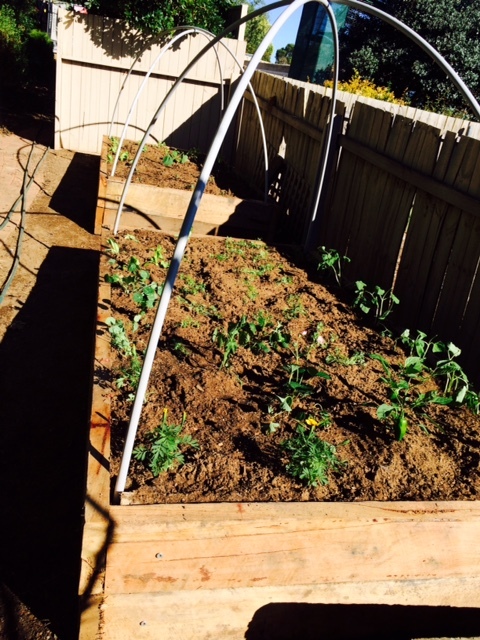 So it’s unusual that I have decided to grow vegies. I can’t describe it, but I am currently obsessed with it. It started last spring when I was looking for a new, productive hobby to relieve work stress. I’m getting better at it. I’ve discovered seasol and also a guide to planting in Canberra – getting the most accurate advice about your climate and conditions can make all the difference! 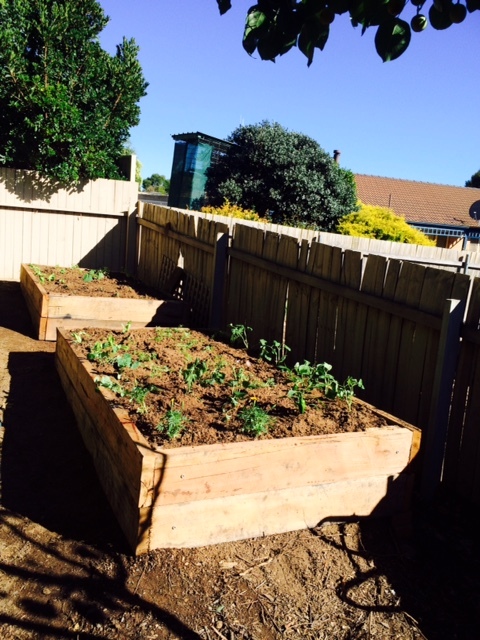 I became so vegie mad that on Christmas Day, after the kids went back to their other parents in the afternoon, David and I built two more vegie boxes, 5m x 2m. Cabbage moth is a struggle and I’ve resorted to some nasty pesticide – not ideal but they were out of control. I love my little backyard oasis. 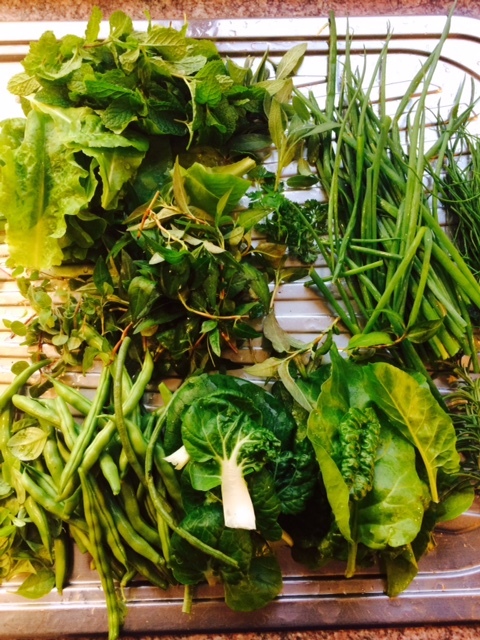 And chatting to my neighbour about her new vegie garden too, and sharing the delights of what we produce in abundance. It’s really a cool thing to do – to watch a seed turn to a seedling, grow and mature into vegies and then produce food with it. I find this whole experience the most mindful and satisfying thing I can do right now , and my stress levels have reduced inversely with my increased vegetable consumption! And I don’t mind if the creepy crawlies find their way inside my tracksuit pants… well, perhaps a little bit….